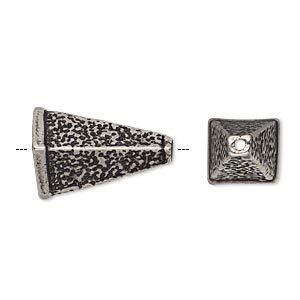 Cone, gunmetal-plated pewter (tin-based alloy), 20x10.5mm textured 4-sided, fits 8x7mm bead. Sold individually. 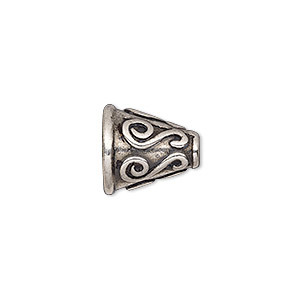 Detailed pewter (tin-based alloy) cones are ideal for finishing multi-strand designs, kumihimo braids and much more. Stringing hole is 1.5mm in diameter. 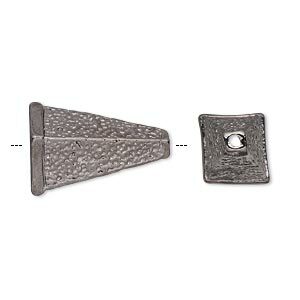 Cone, antiqued silver-plated pewter (tin-based alloy), 20x10.5mm textured 4-sided, fits 8x7mm bead. Sold individually. 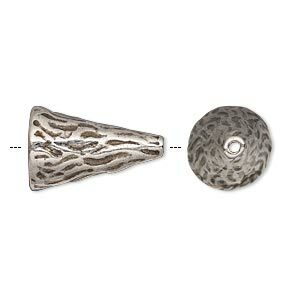 Cone, antique silver-plated pewter (tin-based alloy), 24x17x7mm textured flat, 10x4.5mm inside diameter. Sold individually. 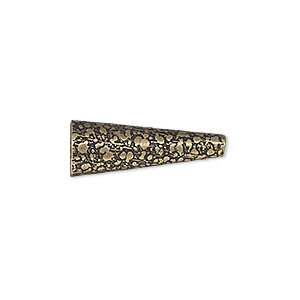 Cone, antique brass-plated pewter (tin-based alloy), 24x17x7mm textured flat, 10x4.5mm inside diameter. Sold individually. 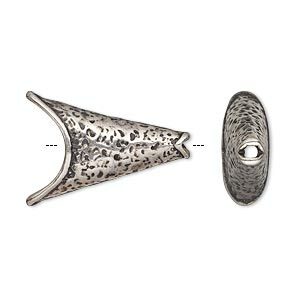 Cone, antique silver-plated pewter (tin-based alloy), 19.5x12mm textured round with line design, fits 12-14mm bead. Sold individually. 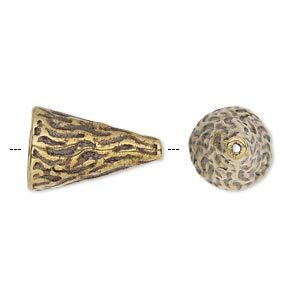 Cone, antique brass-plated pewter (tin-based alloy), 19.5x12mm textured round with line design, fits 12-14mm bead. Sold individually. 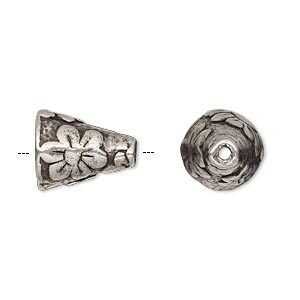 Cone, antique silver-plated pewter (tin-based alloy), 14x12mm textured round with flower design, fits 12-14mm bead. Sold individually. 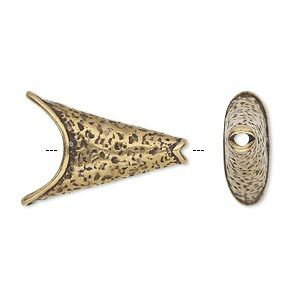 Cone, JBB Findings, antiqued brass, 12x10.5mm woven texture, fits 10-14mm beads. Sold individually. 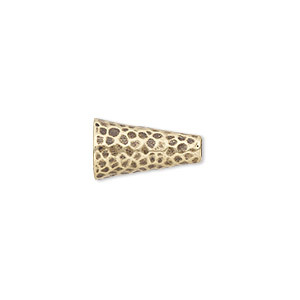 Cone, JBB Findings, antiqued brass, 15.5x9mm hammered, fits 7.5mm bead. Sold individually. 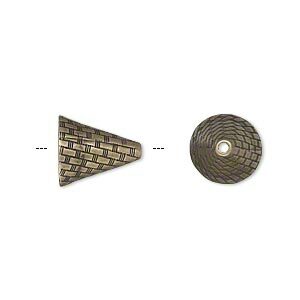 Cone, JBB Findings, antiqued brass, 23x8mm woven texture, fits 8-10mm beads. Sold individually.